A gloriously glamorous, bonkers house, for the most amount of vintage 50's themed fun. Sleeps up to 40 in 16 bedrooms with 14 bathrooms. Weekends from £5,250 to £7,500, full weeks from £9,750 to £11,500. For shorter stays please enquire. 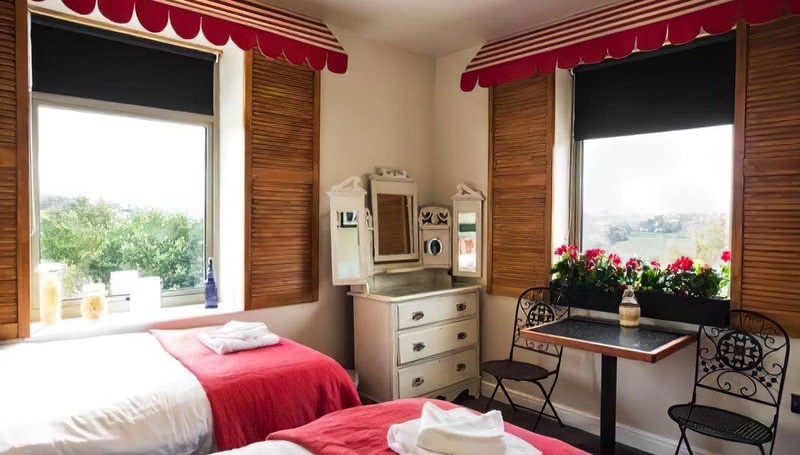 If fully occupied, price per person per night is usually between £35 and £63. 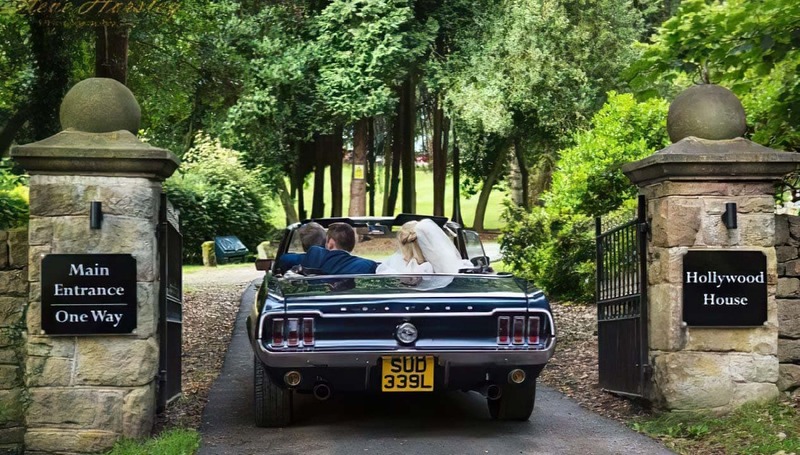 Hollywood house is a wedding venue your guests will remember for years, vintage Hollywood with a modern twist. Seats up to 90 indoors and the total venue capacity is 120. 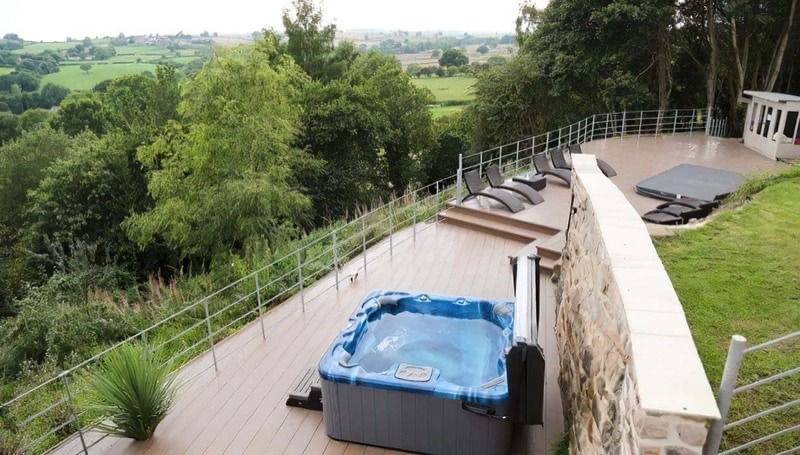 Hollywood House, in the Amber Valley, Derbyshire, is the perfect place for escapist celebration. The house has a retro theme, and has been described as ‘1950’s Hollywood glamour, with a modern twist’. 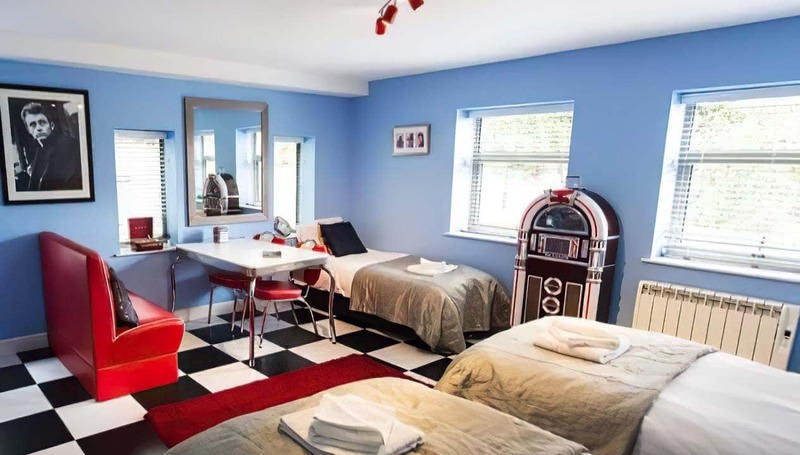 Guests can choose to sleep in rooms such the Elvis Presley Room (thank-you-very-much), or Greta Garbo (if you’d like to be alone), or they could relish the madness of the Walt Disney room (great for a family), which has a Mickey-Mouse inspired head-board and the funkiest Disney bunk beds you could ever imagine. The house has 16 bedrooms, and can sleep 40 (some of rooms are family rooms, sleeping up to 5). There are 14 bathrooms – most of which are en-suite. Downstairs, the spaces have very much been created with entertaining in mind, and there’s a huge catering kitchen, leading into a dining conservatory (which can seat up to 90 guests). The conservatory leads out through bi-folding doors onto a magnificent hanging terrace, complete with a swim spa and hot tub, sunk into the decking. There are also two large lounges, and the Games Room, which is set up as a casino (you can book proper croupiers, to over see the tables). The house is set in five acres of gardens, and is reached by a winding drive, flanked by Monkey Puzzle trees. Within the garden is a spinney, with an Arctic Cabin, in which guests can sprawl on fur rugs, around the fire. 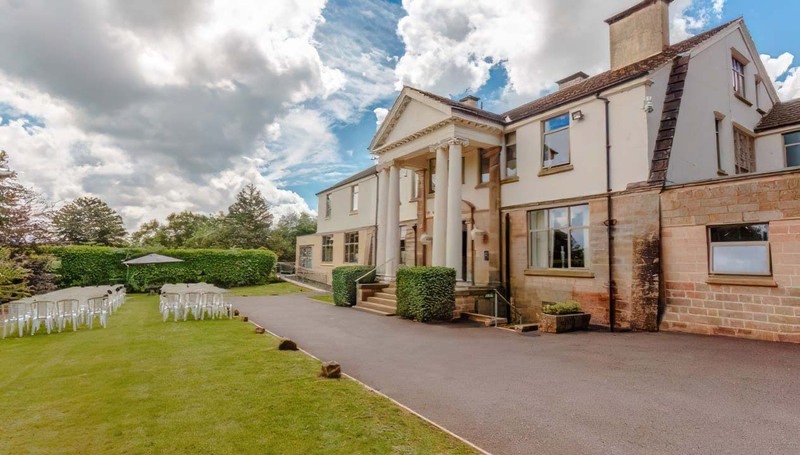 Hollywood House is easy to get to – it’s about 30 minutes from the M1. The nearest town is Belper, which has buses running to Manchester and London, and a limited amount of trains stop at the station. Derbyshire’s a great county for getting out and about in. Matlock is barely twenty minutes away, known as the gateway to the Peak District National Park (plenty of adventures to be had there), or there’s Carsington Water, if your group would like some watery challenges. Closer to the house is the Amber Valley Individual Factory Shop Trail, where you can snaffle great Designer Brand bargains, then go for an artisan coffee in the restored mill. Or if you’d rather something more rural, there are beautiful walks from the house, lots of which lead to traditional pie-and-pint pubs. Hollywood House is a fabulous house for a chic retro wedding. It’s great for about 90 guests, has a civil ceremony license and local churches are available too. There is a weddings brochure here. We had our wedding weekend here. For a small wedding it is perfect. In a wonderful place with amazing rooms and character. The views are stunning and the casino night is an awesome touch and so different for a wedding. If you want a small wedding venue this is the place. I cannot recommend Hollywood House highly enough. 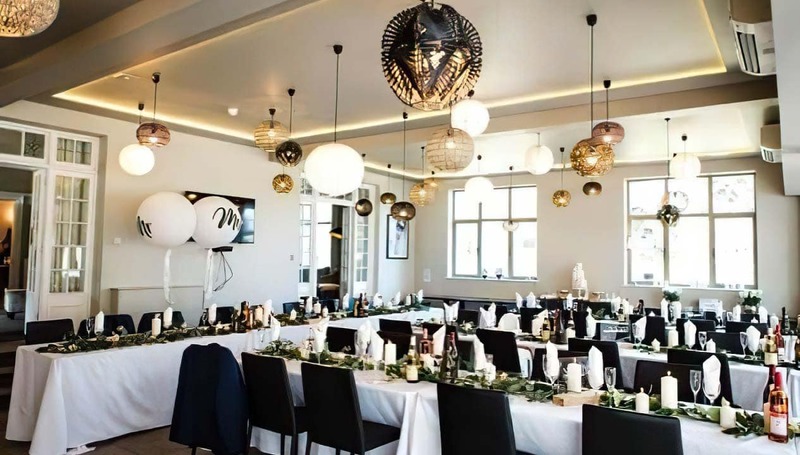 I held a 30th birthday celebration here for a large group and it was perfect - everything built for purpose and every need catered for; from an iron and ironing board to an industrial glass-washer! Julia was incredibly helpful throughout the whole booking process even when there were complications on our side. If you are looking for a party/ getaway for a good number of people, this is the place to do it. This house was absolutely perfect for my friends and I. All the themed rooms were brilliant and the views are amazing. I would totally recommend it to any one. 5 star rating! Well done you’ve got a great house. Stunning house, beautifully decorated, could do with a better kitchen. Otherwise it’s perfect. 42 of us recently had an amazing weekend at Hollywood House for a hen do. The location is stunning and the facilities exceptional. The house itself is stunning and provided for our every need. Julia was friendly and efficient in ensuring everything was as it should be prior to our arrival, and was at the end of the phone when we had a couple of queries over the weekend. What a fantastic time we all had, thank you so much!! Absolutely amazing house, the themed bedrooms are fabulous. Highly recommend & would definitely stay there again. Fabulous weekend at an amazing venue! Comfortable, big, unique. Perfect party venue, we were impressed! 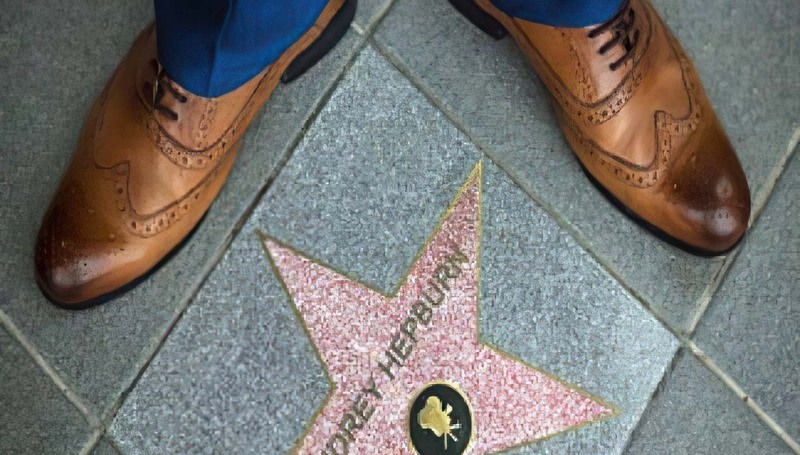 We stayed at Hollywood House for a team break form Work and it was incredible! The house is huuuuuge, we had 31 people in there and you actually had to find each other. So many hidden treasures of places to go within the grounds. Absolutely brilliant, I’d highly recommend it for any occasion. The rooms are MEGA! Also, If I can say on here too...I used Derbyshire Catering for our breakfasts and dinners and Diane was fantastic. They’re on the list of recommendations that come from Ashbourne and I really rated them! Have just spent the most amazing weekend at Hollywood House .Great venue for large party. Themed rooms are fun,hot tub and plunge pool more fun,Casino room ,what more can I say. Loved every minute and would highly recommend. Absolutely incredible! We celebrated a hen party here last weekend and it is truly magnificent. The rooms are decorated to such a high standard with so much thought and care. 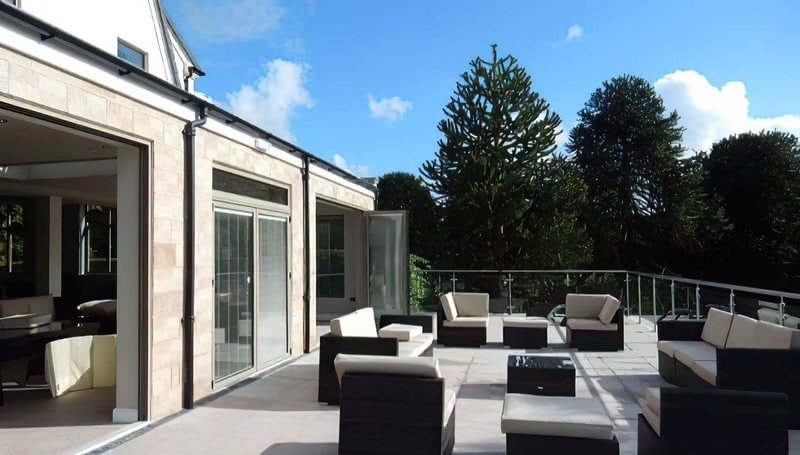 The conservatory is excellent and the addition of a hot tub and plunge pool is just fantastic! My favourite part is the arctic cabin for toasted marshmallows!! Perfection! Just spent an amazing weekend here for my step daughters hen party. Couldn't fault anything, everything you need to have a fabulous time. Fantastic weekend spent at the Hollywood Mansion celebrating my soon to be daughter in laws hen party, themed rooms are amazing, and social room is huge. Truly Great Place. Celebrated my friends hen party here this weekend, had the most incredible time I already want to go back & do it all again. Pics don't do it justice, it is breathtaking !!! What a stunning house. 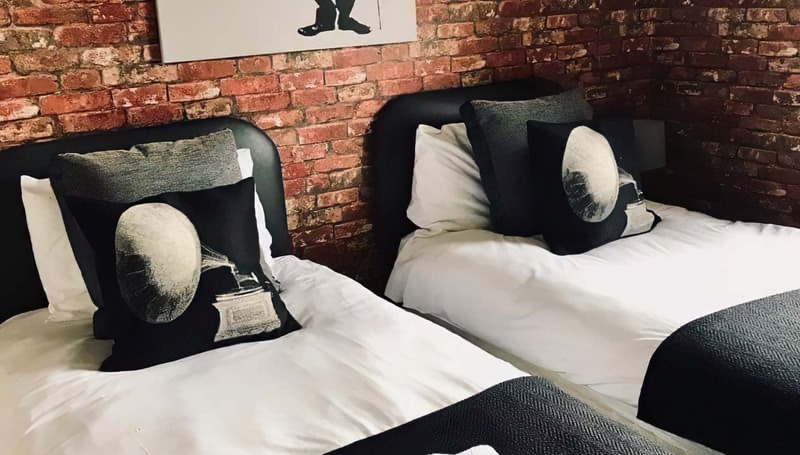 It is almost 5 stars, so almost and in my opinion and that of my large party that a 4 star rate is too low and a 5 star rate just too high but it sways to 5 star, hence the rating The bedrooms are just brilliant, all of them. 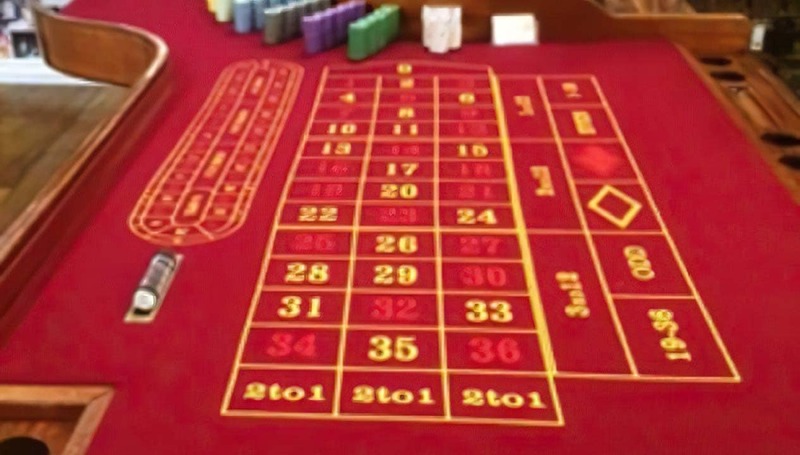 The layout, size and decor is great, most with en suite, all huge and well decorated, clean, funky, beautiful The casino is a nice touch and the 2 croupiers were great, lots of fun was had. The property grounds and location are stunning, very grand and as advertised. The town is lovely too and we were reasonably close to white water rafting, go karting and kayaking, all of which were activities we enjoyed whilst visiting the area. Everyone loves a hot tub and a BBQ - 2 lovely features of the house The cabin was amazing and the men spent hours down there cooking up a storm for the girls, I highly recommend the BBQ pack. Now the down points - Towels - they are included but so small. The larger towel would cover either my top half or bottom half and for a house of this grandeur, I'd expect large bath sheets. Definitely bring your own towel if you are tall, or of normal size! The towel provided is suitable for your hair if you are a lady! Kitchen - I never understand why there is so little fridge space in these huge houses. There is a drinks fridge which is sort of ample, next to a bar area with ample glasses etc but in the kitchen there is a massive freezer but you have to get on your hands and knees to get to the 3 quite deep, but mini in size, fridges.. not suitable for older or physically challenged people. This house should have at least 1 if not 2 american fridges. It is poorly equipped with silly small cups for tea or coffee, there must be mugs! There are utensils but it seemed to lack kitchen equipment. You will get by, but I believe better knives and smaller sauce pans etc are needed It is set up as a catering kitchen with massive pots and trays etc But the Industrial dish washers are very handy, however the sink is tiny!! Garden - is just a little uneven. We had a couple of older friends stay with us and I wasn't happy with her in the garden in case she was unsteady on her feet. Even myself, aged 40. nearly twisted my ankle on one of the dips. It's a lovely outside space but just worth noting. Hot tub - lovely lovely lovely but no hot tub after 10pm is annoying. There is also a plunge pool which we didn't use. Noise - we had a complaint from a neighbour which must have been half a mile away! The only neighbours were on the way into the property but can't see how we disturbed them. We are a group of 40-70 aged professionals and I was annoyed to receive a call from one of the managers, albeit a very polite call, I advise against this property if you are hen/stag party as we were not very loud at all Wi fi - very poor. No one really could get wi fi and was intermittent the whole weekend which made music a challenge. Obviously we had music and we bought our own speakers but it was painful with it cutting in and out. Finally, apart from loo rolls, dishwasher bits, fairy liquid - I recommend you bring all your own products like bin bags, tea towels (we found 3/4!) cloths etc... it really is basically equipped. BUT - if you take on board all this feedback and plan/prepare for the above and want a stunning, luxurious mansion with minor faults, that are so easily fixed, I recommend a stay in this beautiful home. I would book and stay again without a doubt but all of the above makes this property a 4.5/5 rating. From the start Julia was very easy to contact and reply to any questions I had. The house was so much better than we could have imagined, the attention to detail which had been put into each room was incredible. The living areas were spacious, well thought out and had every amenity you could think of. We used many of the suppliers which were recommended by Julia which all worked really well (caterers and photobooth). The ground are also huge and we held a hula hooping class outside for 47 ladies! The casino worked perfectly with our Hollywood fancy dress evening. This is clearly a very well oiled machine and from start to finish the whole process was made very easy for us. Thanks so much for such a fun weekend, I hope to be back one day! Visited Hollywood House as part of a group of friends celebrating a 30th last weekend. We had been very excited in the build up as the house looked amazing on the website! We were not to be let down! The house is just fantastic! All the rooms are incredible (we stayed in the lovely Sophia Loren room but we would have been happy in any room) , the views from the terrace are beautiful, the hottub was a firm favourite (as was the arctic Hut! ) The cocktail evening with casino was just brilliant and the three course meal was perfection. All in all a great place to stay, worth every penny and a fab place to make memories!